Joe Wright directing film adaptation of Neil Gaiman’s upcoming adult novel, skeptical question mark? 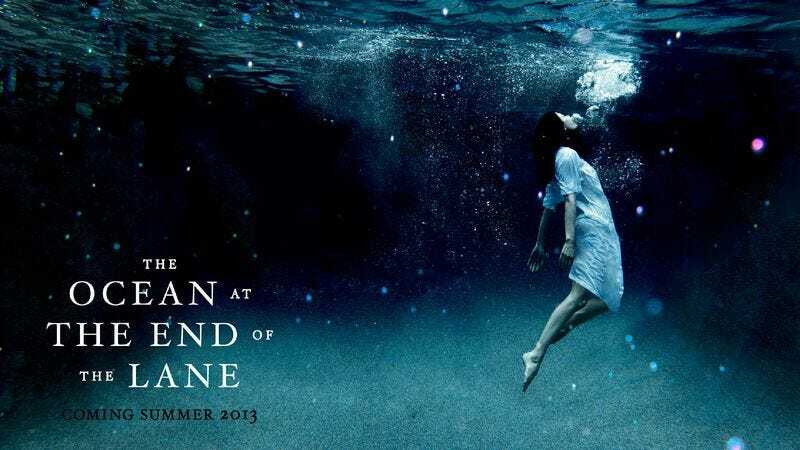 Deadline is reporting that Focus Features and Tom Hanks’ production company, Playtone, “are closing a deal” for the adaptation rights to Neil Gaiman’s upcoming novel The Ocean At The End Of The Lane, set for publication in June 2013. Joe Wright would be attached to direct. Playtone previously acquired the rights to Gaiman’s 2001 novel American Gods, which it’s developing as an HBO series; in November 2012, Gaiman tweeted that he was working on scripting the pilot. Little other news has emerged about the American Gods series since the 2011 acquisition leaked against Gaiman’s wishes, but clearly someone at Playtone likes him, and wants to corner the Gaiman market. The Ocean At The End Of The Lane takes place largely in flashback. When the protagonist returns to his country hometown for a funeral, the familiar sights abruptly remind him of magical events from his childhood, which had been erased from his memory. As a child, he deals frankly and sometimes awkwardly with huge events outside of his comprehension (events not dissimilar to the ones in Gaiman’s Coraline), but his choices have terrible consequences. The non-linear timeline and the lush description of the country environment and the supernatural events that occur around him all seem to speak directly to Wright, whose previous book adaptations (Pride & Prejudice, Atonement, Anna Karenina), have similarly focused on vividly drawn country environments, and outsized emotions expressed through repressed characters. It’s a solid conceptual match of content and creator, assuming it gets past the “closing” stage and the “development” stage and makes it on to the “actually happens and ends up on the screen” stage. In the meantime, readers who pick up Ocean in June can read it with Wright’s previous spectacular visuals in mind, and dreamily imagine their own version of the story, just like a certain someone does in Atonement.